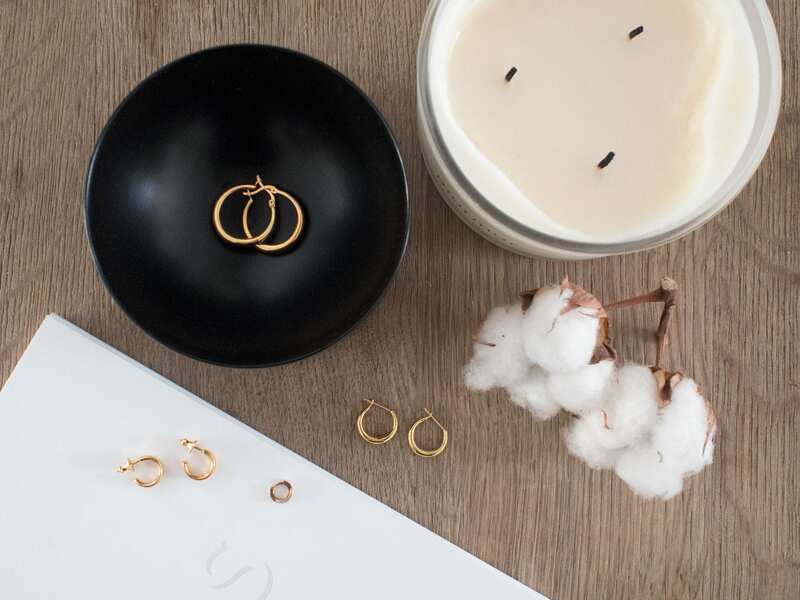 Gold hoop earrings are in the spotlight once again but for me they’re a classic style that will forever be relevant. 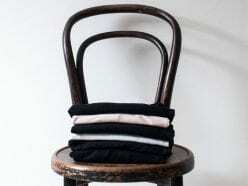 Large hoops are the perfect solution when you want to elevate a simple outfit, like a classic white shirt and black trousers. 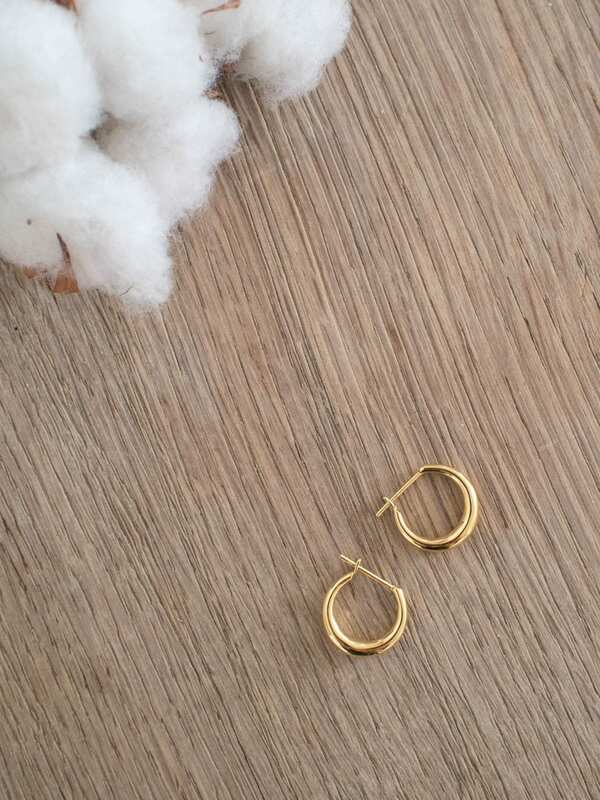 I also find that small hoops are a good everyday alternative to studs. As I have a few piercings in each ear, I like to layer a couple of different sizes. I started wearing only gold jewellery a little while back. I’d become bored of opening my jewellery box only to find my silver pieces looking tarnished and, frankly, unappealing. Fortunately, I have the sort of skin tone which allows me to wear either. 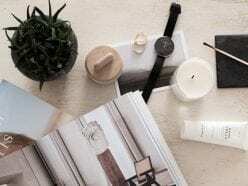 So I made the switch over to gold plated or gold vermeil silver pieces (never brass, unless they’re really big designs) and, whenever I can, I’ll opt for solid gold. 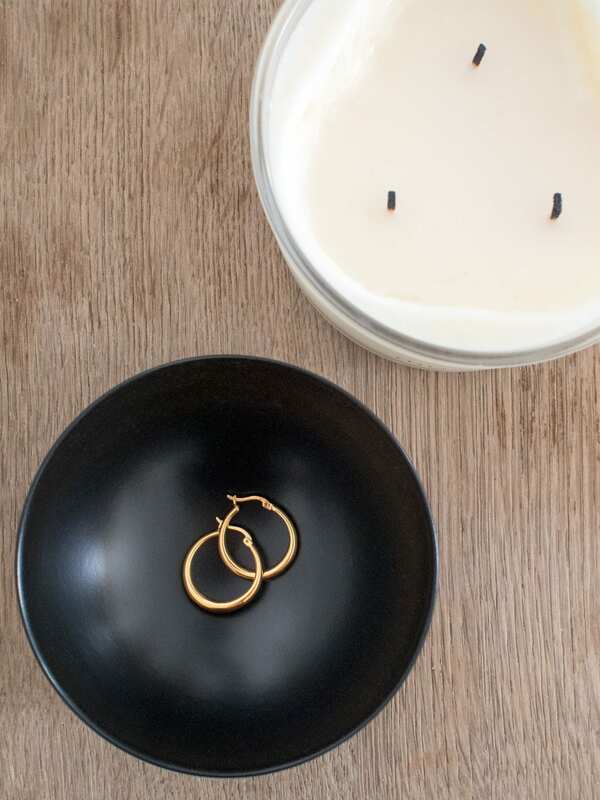 Obviously, there’s a big cost involved with buying solid gold jewellery so I only buy it when it’s an investment piece that I can guarantee I will wear for many years. And the great thing about it is if I become bored with the style I can always have it melted down and create a new piece. 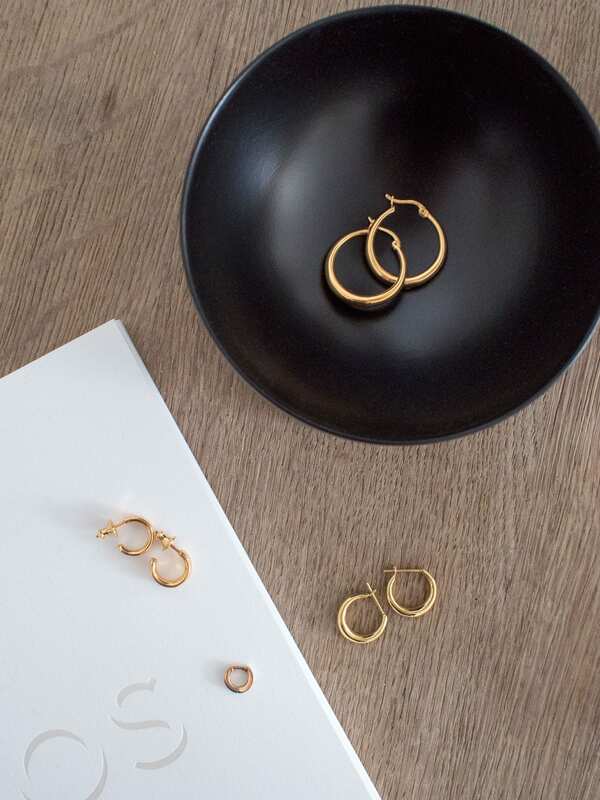 Monica Vinader have recently expanded on their collection of hoops. 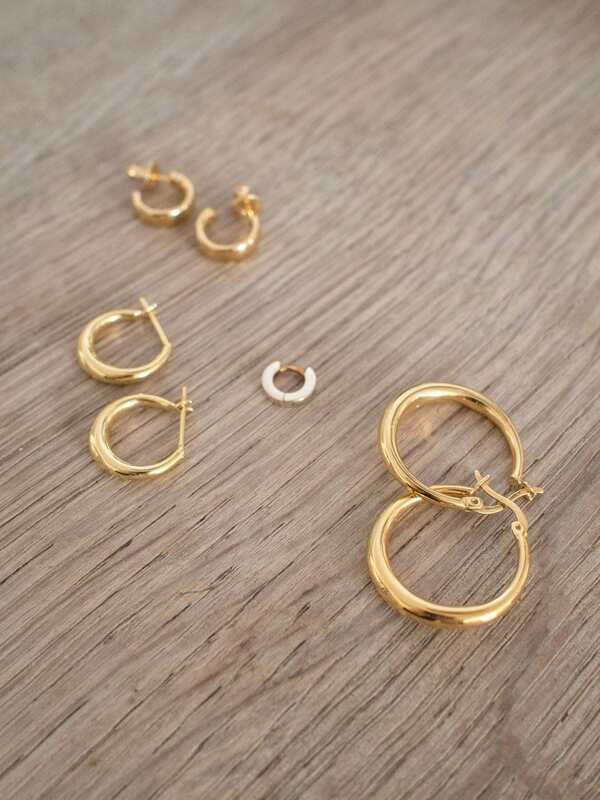 Their Fiji collection is one of their more minimal, and includes some really nice hoops. 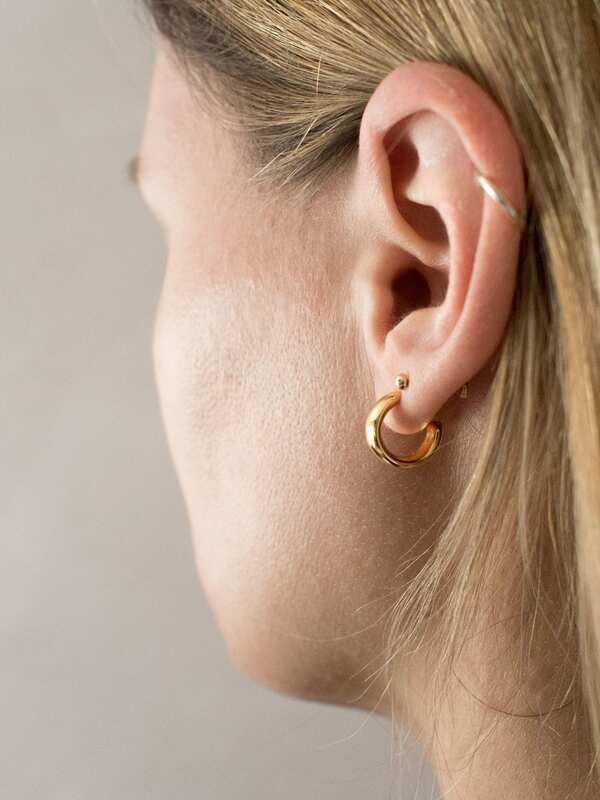 It’s their mini hoops in 18ct yellow gold vermeil that I’ve recently been wearing instead of my studs. I really like their large hoops too, they’re not that big but a classic design anyone can wear.